Android 5.1 MTK6580 Quad Core. The 1.39 inch AMOLED circular display on the LES1 Watch delivers stunning image clarity. Resolution: 400*400. 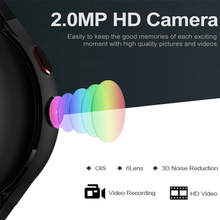 Easily to keep the good memories of each exciting moment with high quality pictures and videos. 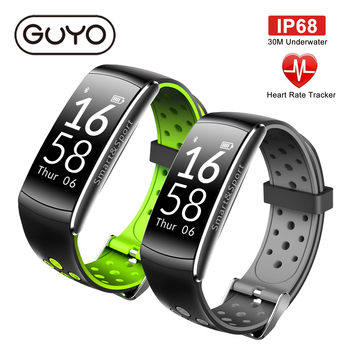 It looks and feels natural on your wrist. Like a traditional watch. 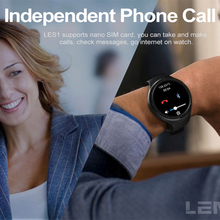 LES1 supports nano SIM card, you can take and make calls, check messages, go internet on watch. Keep your day heading in the right direction. 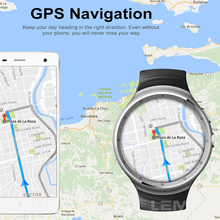 Even without your phone, you will never miss your way. 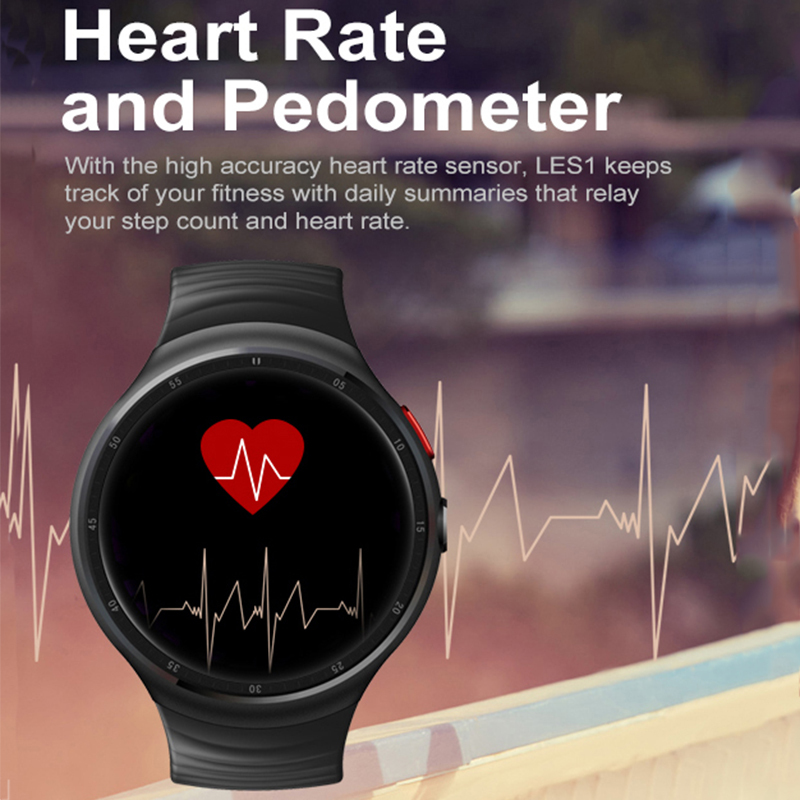 With the high accuracy heart rate sensor, LES1 keeps track of your fitness with daily summaries that relay your step count and heart rate. 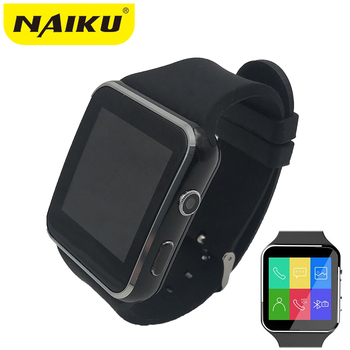 Built on the latest release of Android OS with thousands of apps at the Google Play Store. 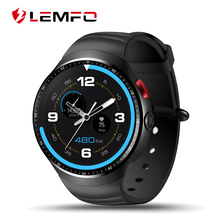 LES1 has 16GB internal memory. You can store hundreds of music in it. Put on your Bluetooth headset and listen to your songs without the weight of your phone. 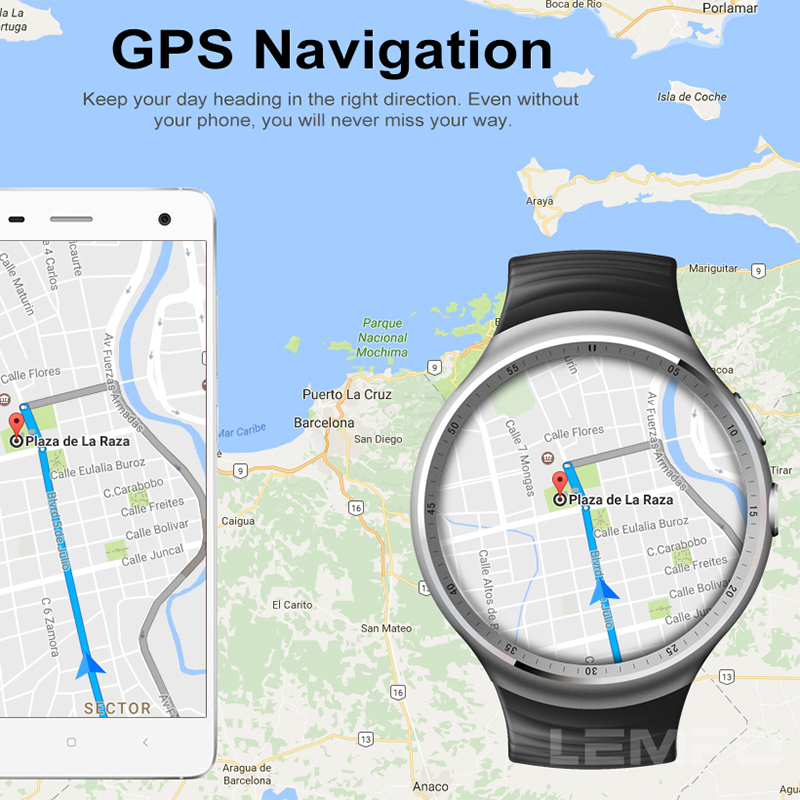 LES1 keeps you updated weather information anytime and anywhere. Wear the LES1 out in all kinds of weather. It’s able to withstand dust and dirt and washing hand. Persian, Italian, Turkish, Thai, Vietnamese, Hindi, Indonesia, Spainish, Polish, Hebrew, etc. A1. Yes, it’s IP55 Life Waterproof. Not suitable for swimming or diving. Q2. Does it support SIM card or TF card? A2. It supports Nano SIM card. But it doesn’t support TF card. A3.No,the strap can not be changed. Q4. Is it Touch Screen ? A4. 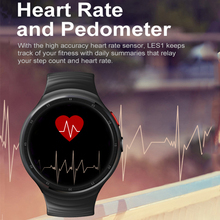 Yes,It is 1.39 inch Full circle Touch Screen. Q5.Is there a camera on it ? A5.Yes, there is 2.0MP camera on it . Q6. Can I connect LES1 Bluetooth with my iPhone or android phone? A6. Yes, It supports IOS 9.0 and Android 4.4 or above phone. Q7. What function can i use after connect bluetooth? A7. After connect bluetooth, you can only get phone call remind, notification remind. 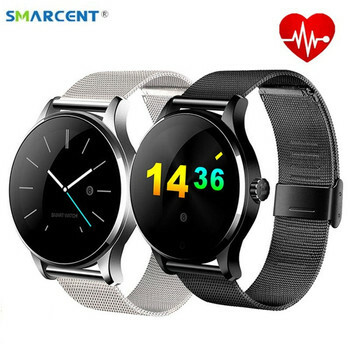 You can not receive or make phone call or check message on watch when connect bluetooth only. Please download “Wiiwear” app first on your phone. Q8. Does all functions can work with IOS phone? A8. No, Remote control music function can not be used on IOS phone. 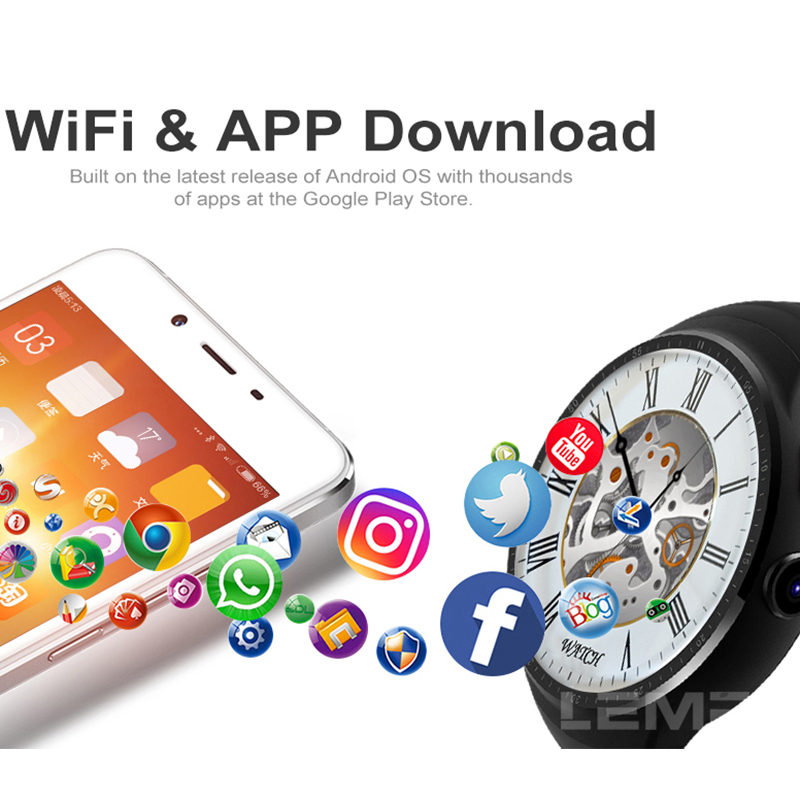 Q9.Can I download Android Wear app on watch?